Tell us about your back ground: How did you come to work for Tyrrell’s Wines? I was born into it, so have been here all my life, from chasing cattle and being a bloody nuisance until my teens and then working in all parts of the winery and vineyard. No school or university holidays ever. How is the 2018 vintage shaping up? We’ve started harvest earlier than last year, and the berries are smaller from the dry winter, spring and early summer. First real flavours coming the week of the January 8th and there looks to be a smaller overall crop, but it’s a bit early for a quality call. It might be another 2007. What varietal is looking ‘the goods’ for Tyrrell’s wine lovers? Semillon still runs in our blood stream and with the range of top vineyards we now own or control, we have a style for most palates. There has been a big jump in our Chardonnays in the last 10 years, so they are also worth a look. Do you have a favourite wine to make? Semillon, because it is all about getting the soil, season and maturity right in the vineyard. It is the most naturally made wine. Can you recall the first wine you tried? We used to be given a bit of wine with water from about the age of six or seven years old. As we got older the water became less and so we were weaned into table wine from an early age. When did you fall in love with wine? After the third bottle of great Burgundy…but I fell in love with everything that night! Do you remember that moment? What happened? I don’t really remember, but had lots of lawyers’ letters accusing me of all sorts of things. What is your all-time favourite wine memory (other than a wine itself)? Standing in the vineyard at Romanee-Conti and being part of sharing a double magnum of 1865 Chateau Lafitte. What is your ultimate food and wine match? Aged Semillon and fresh seafood caught locally. Can you cook? If so, what is your ‘signature dish’? Not really when the specialty is vegemite on toast! What do you do to relax away from the winery? I love to go to the beach or more recently, playing with my grandson and undoing all his parents’ good work. What do you think is special about the Hunter Valley region? Nowhere else is like the Hunter. The conditions can be tough, but that builds character and initiative. The styles are fine and elegant, but have the ability to live in the bottle which is the hallmark of a great area. Book – why? Lord of the Rings – I read it every 10 years and read more into it each time. It’s the best adventure story ever written. Movie – why? The Pawnbroker starring Rod Stieger. I saw it in 1967 and reckoned it contained the best acting I ever saw. TV show – Vikings will take a lot of beating because of the little details being so accurate. Time of day/night – why? Night then everyone can see as badly as me, and it has an inherent quietness and peace. Sport – Earle Page College Armidale 2nd Grade Rugby League which I coached for two years. Rugby League, Rugby Union and cricket. Beer – Light and cold and crisp, none of the over hopped craft beer rubbish. My all-time favourite is Anchor Steam out of San Francisco. 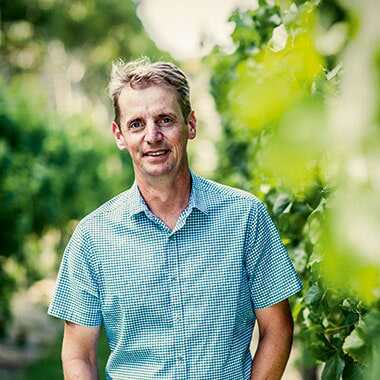 With the popularity of Australian Pinot G continuing to climb, we chat with Yabby Lake general manager and winemaker, Tom Carson, whose Red Claw Pinot Gris 2016 is so deliciously food-friendly. 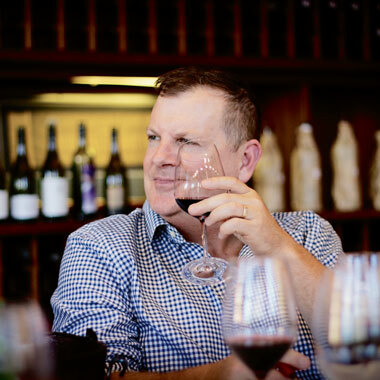 Along with being an award-winning winemaker, you’re also heavily involved with the Australian wine show circuit – including holding the position of Chairman of the Royal Melbourne Wine Show. 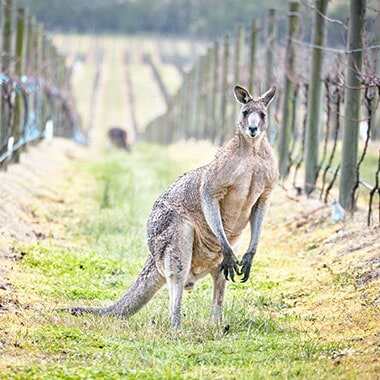 What’s exciting you most about Australian wine? Australian wine is in a wonderful period at the moment, there are so many small producers producing stunning wine. 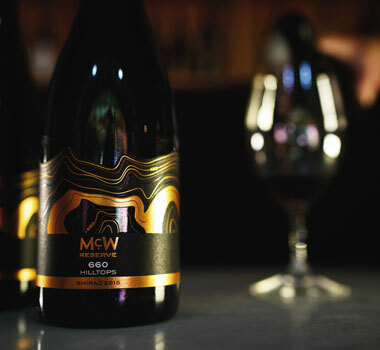 As we have seen at the Royal Melbourne Wine Awards, this year a Grenache won the most coveted Trophy in Australian wine, the Jimmy Watson Trophy. Grenache is a wonderful variety and produces stunning wines, particularly from the incredible old vine resources of South Australia – couple this with a modern, sensitive approach to winemaking and we are finally realising the potential of this variety. You’ve worked in multiple wine regions across Australia and France, and this year celebrate ten years at Yabby Lake – what drew you to Yabby Lake and the Mornington Peninsula? Yabby Lake is a stunning property and is an amazing vineyard site. It was the unrealised potential of this site that really drew me in – just imagining what was possible with this vineyard had me hooked, and 10 years on that hasn’t changed. Fruit for the Red Claw Pinot Gris 2016 was harvested in early February 2016, which is quite early for the Mornington Peninsula! How’s vintage 2018 looking? Yes, 2016 was the earliest vintage we have ever experienced here, picking 10 days earlier than ever before. 2018 is shaping up nicely and we should be harvesting late February this year! Both Pinot Gris and Pinot Grigio have really found their place in the Australian wine market – what is it about Pinot G that makes it so popular? It is a wine that is easy to connect with – it’s subtle, finely detailed, but also wonderfully drinkable and really suits that summer weather when you are craving something refreshing but also interesting. What makes the Red Claw Pinot Gris stand out from the crowd? Red Claw Mornington Peninsula Pinot Gris captures the variety and region in a way that just draws you in and makes you an instant fan. What is your all-time favourite wine memory (other than a wine itself)? I remember when l was very young, maybe 5 years-old, treading grapes in a garbage bin and thinking what great fun it was getting covered in wine and grapes. It’s funny how things work out! Other than your own wine, what is the wine that you like to drink at home? I am massive fan of Yarra Valley Chardonnay, particularly from Oakridge, old vine McLaren Vale Grenache from S.C. Pannell, and Nebbiolo from Italy. What is your ultimate food and wine match? Chinese roast duck and Pinot Noir! Yes, it is a bit of a cliché, but have you tried it? What do you do to relax when you’re away from the winery? On a golf course! Well, l try to anyway, but that depends on how the game is going! Your must-do for visitors to the Mornington Peninsula. Peninsula hot springs in winter. Beach in summer. Golf in autumn and spring. What is your favourite… Book ? Girt by David Hunt – every Australian should read this book and True Girt. Movie ? Alien. TV show? Game of Thrones. Restaurant? Kisume. Breakfast ? Coffee. Lunch? Long. Dinner? In summer a barbeque eating outside and enjoying a few nice wines. Time of day/night? Morning. Sporting team? Essendon FC. Beer? Proper Italian brewed and canned Peroni Nastro Azzurro – not that rubbish they brew and bottle here, it is a scandal and should be exposed. When it comes to the attraction of Hunter Shiraz, the Tasting Panel needs no convincing. As our resident Hunter expert Nicole Gow describes, “there’s nothing overpowering about this style and its beautiful savouriness and medium weight makes it a wonderful food wine.” The question is, are Australian wine-lovers on board with the new face of Hunter Shiraz? To find out, the Panel decided to put a line-up of Hunter Shiraz to the taste test in the company of some Wine Selectors members. Joining the judging team of Nicole Gow and Trent Mannell were members Melissa and Tony Calder and Marilyn Willoughby, along with winemaker Andrew Thomas. The Tasting When the guests were asked what they liked in their reds, the resounding answer was smoothness. One of the smoothest Shiraz of the tasting turned out to be Andrew Thomas’ Elenay Shiraz 2014 , which Marilyn also admired for its lovely spicy appeal. The story behind this wine is a colourful one, so perhaps skip to the next paragraph if you’re sensitive to strong language. In 2011, Andrew found himself with some leftover barrels of two of his other premium Shiraz. These barrels became known as the ‘lips and arseholes’, but when they were blended together, they actually produced a standout Shiraz. So the label – Elenay (L and A) was continued and has enjoyed great success since. While the majority of the wines in the tasting lived up to the regional reputation for being medium-bodied, there were a couple of fuller styles among the standouts. The Little Wine Company Little Gem Shiraz 2013 was described as “a wine for the oak-lovers”, which Melissa and Marilyn both enjoyed. The other was the Pepper Tree Limited Release Shiraz 2014, which Nicole praised for its generous plummy fruit. The wine that really brought all the tasters together was the De Iuliis Shiraz 2014, which was described as having “beautiful balance with long, spicy elegant tannins”. Overall, our members left impressed with the Hunter Shiraz they tasted and will definitely be adding more examples to their collection. So let’s hope that now there’s a new found confidence in the style from local winemakers, wine-lovers will share in their enthusiasm and Hunter Shiraz will become a timeless classic in the world of wine fashion. 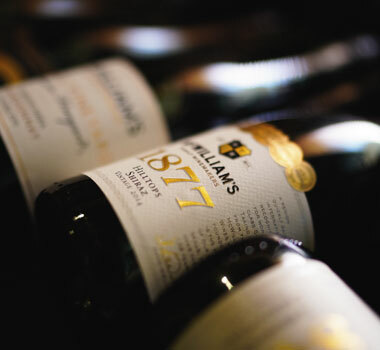 At the heart of the history of McWilliam’s Wines is a culture of innovation that’s not only ingrained in the company, but has rippled out through the wider industry. Taste aside, why is wine so special? Is it because it’s the accumulation of much more than just simple liquid in a glass? Is it just where it came from and who made it? Or is it the sum total of its many essential components? However elusive the answer to that question is, one thing is clear; when it comes to wine, history will always have a significant impact on the future. Few families that have shaped the Australian wine landscape like the McWilliam family. The pioneering spirit that built the past has translated through six generations and has shaped a wine business that has innovation, drive and legacy stitched into its DNA. Samuel’s Fate The first steps of the McWilliam’s path were taken by Samuel McWilliam when he set foot on Australian soil from Northern Ireland in 1857. At that time, wine in Australia was well on its way, but it was all about fortified wine, and as there was no electricity or refrigeration, it was a tough and labour intensive way to survive. However tough, wine became the future for the McWilliam family when Samuel travelled up the Murray River with his wife Martha and family and settled in Corowa. He called his property ‘Sunnyside’ and his neighbours just happened to be another famous Australian pioneering wine family, the Lindemans. “The family’s fate was sealed,” describes Samuel’s great-great-grandson, Jeff McWilliam. “Samuel took what learnings he could from his neighbours and set about making fortified wines on his vineyard.” Second Gen Pioneers Around this time, the fortified industry was under threat, with phylloxera decimating Victorian vineyards. Two of Samuel’s sons, John James (JJ) and Thomas had the foresight to move from Corowa with the intention of establishing disease-free vineyards. Just before the turn of the century, the brothers established ‘Mark View’ a vineyard and property in Junee, just north of Wagga. A few years later, Samuel passed away and his three daughters, Eliza, Rose May and Mary, returned to make wine at Sunnyside, becoming among Australia’s first female winemakers, further cementing the family’s passion for wine. JJ and Sons Blaze the Trail In 1913, JJ and one of his four sons, Jack, took 50,000 of their vine cuttings and headed to Griffith and became the first in the region to plant and establish grapes. This move solidified the McWilliam name as true pioneers and innovators, as such, the Riverina is now an undisputed wine powerhouse, growing 15% of Australia’s total production. When asked in a newspaper interview why he’d chosen this region, JJ said, “The Riverina offers all a man has ever dreamed of – sunshine, great soils and water.” Here’s the thing, when JJ and Jack arrived in Griffith, it was pre-irrigation, yet the father and son team was so determined that this was the future of Australian wine, they spent months carting water to quench their nursery vineyard. Growth and Innovation. As the McWilliam family grew and set deeper roots in NSW, the business evolved and the innovative nature of the family flourished. JJ and Jack toiled away establishing their vineyards and building the winery, which was completed in 1917. The winery became known as Hanwood and remains today as the family’ primary production facility and is still the beating heart of McWilliam’s. Hanwood was built next to a planned railway, so the wine could be easily transported to Sydney, but after the state failed to follow through on construction, Jack’s brother Doug decided to build another winery at Yenda, where the railway was eventually built. With a direct route to the Sydney market, further innovation was around the corner. “With the growth of production came the need to sell more wine. Jack and Doug’s brother, Keith believed the family needed to build their brand, so Keith, a bit of a self-taught marketer, decided to take on the job,” says Jeff. “He worked with wine merchants, opened our Sydney cellars, he had trucks with our name on the side, going over the top to build the brand and promote what is now packaged, branded wine.” Keith also opened wine bars in Sydney close to the city and transport hubs. “People tell me they remember the wine bar at Strathfield station,” says Jeff. “They actually got off the train, changed to another train and had a port or a sherry on the way through.” Jack’s youngest brother Glen also contributed to the family’s innovation by designing and building ‘The McWilliam’s Drainer’, wine equipment that separates the juice from the skins and is still used today in wineries all over Australia. Glen’s many achievements include bringing new table wine varieties to the region and making Australia’s first botrytis wine in 1958, a style that is now synonymous with Australia’s identity. Investing in the industry At the turn of the 20th century the Australian wine engine was fuelled by fortified wines, but there were small pockets of table wines being made. One was in the Hunter Valley. 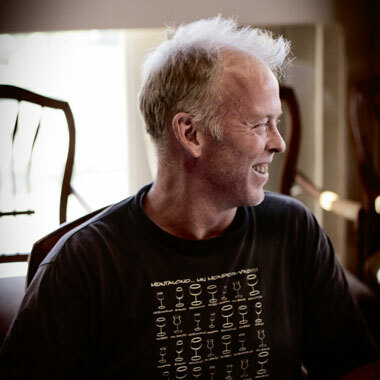 At Mount Pleasant, winemaker Maurice O’Shea was crafting distinctive wines that Keith McWilliam saw great potential in. As Maurice had little means of selling his wines, and needed finances to continue, Keith invested in Mount Pleasant. Maurice O’Shea went on to produce some of Australia’s greatest table wines, inspiring winemakers to this day. McWilliam’s maintains O’Shea’s legacy by making wines that carry his name and in 1990 initiated the Maurice O’Shea Award. Presented to an individual or group that has made a significant contribution to the industry, it is regarded as the most prestigious award in Australian wine. It is a rare thing that a company will actively reward and promote its competitors. But the O’Shea Award openly reflects McWilliam’s commitment to an industry they have helped shape for over 100 years. Events + McWilliam’s Dinner Series McWilliam’s, in partnership with Selector, is hosting a series of special dinners reflecting its iconic history and the wines creating its future. Canberra in October, then Brisbane in November with more cities to follow. Visit wineselectors.com.au/events for more info.